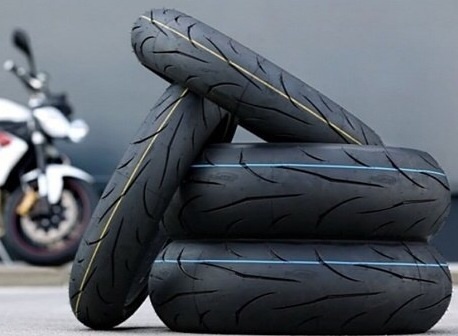 Choosing motorcycle tires is as important as riding motorcycles since the right kind of tire makes a big difference in the handling and working of the bike. Usually, people don’t pay much attention to the tires of bikes beyond getting air filled. But there is a lot of things that are important about tires that should be known to ensure proper mileage and riding experience, and also to avoid any kind of mishaps. Why Does Choosing The Best Tires Matter? Tires of a bike are what ensure a smooth performance and mileage over a long term. Even if the engine is optimized to the best ways, unless the tires are in a good condition, it will be troublesome over time. Most people only know about tubeless or tube tires, but don’t bother in knowing why a particular type of tire is important for their bike. The usage of tubeless tires is to be considered when the bike has cast wheels, and when it comes to bike’s wheels have a bicycle like spokes, then the usage of tires with tubes is important. Also, the temperature is an important part in understanding your requirements, if you live in a place with hot climates, it is important to understand your tires and their capacity. Dubai cars and bike owners especially face this problem. With temperatures regularly reaching 45-47°C, the temperatures of the tires can increase up to 70°C. The tread is the most visible part of the tire that people know about. Consisting of grooves and channels that are made into the tread to ensure the tire sticks to the ground. Usually, in racing bikes, tires that are used have only tread but no pattern since they require more control at higher speeds, while in street tires, patterns are kept alongside grooves to ensure that water is channeled properly when the tire is wet and so the tire doesn’t loose grip. Sidewall design is important in determining the handling and load support of a tire. 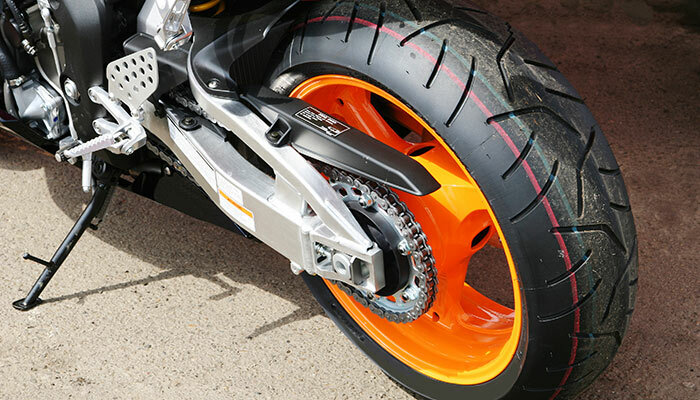 Bikes have vertical sidewalls, but with a rounded tread to make sure that motorcycles tires stay in constant contact with the road and maintain traction when the bike leans around the turn. It is where the wheel is mounted to the tire. Usually, multiple steel cords are kept in these areas to avoid leakage in a tubeless tire, while ensuring a snug fit. Known as the backbone of the tire, it lies beneath the tread. It is made up of fiber or steel cords that run from one end of the bead to other. There are mainly two distinct ways of making Carcass, which can be seen as Bias Ply or Radial Ply. In Bias ply, there is a directional angle in the cords, while in radial, the cords are placed beside each other. When checked in a real world situation, Bias ply tires have a reduced grip as compared to radial tires but offer more longevity. Radial tires are mostly used in racing cars as they offer a short life while for most bike types, Bias ply tires are used. For choosing right tire size, some basic understanding of the codes mentioned along the tire side is required. Manufacturers use three different methods to assign tire information. These methods are Alphanumeric, Standard inch and metric. It is the ratio of tire’s width as compared to its height. Hence, the taller the tire, the higher will be the number. It is usually given as a two digit number. It is the measurement of the width of tread in the straight line taken from one side to another. It is taken as a three digit number. Ranging from 20 to 80, this code designates the weight bearing capacity of a tire. It is the measurement of the rim in inches from one lip to other. It is an alphabetical code which designates the speed at which the tire can run at, safely when it is properly inflated. It is usually taken from J-Z. Some other additional information is mentioned on the tire such as the tire’s manufacturing date which is given by a four digit code. It gives the week and year that the tire was made in, with the first two digits mentioning the week of the year(1-52) while last two digits give the year the tire was made. For example, a tire with 1414 as code would have been produced in April second week in the year 2014. Amidst all this, here are some tips that can be crucial in understanding your bike tires and how to better their life. Usually, it is advisable to replace the tire with the same size as that came with the original equipment. However, if you want, you can choose to experiment amongst different styles and sizes. Racers usually try this to understand what is the best option for them. It is important to keep the tires properly inflated. Over and under-inflation of tires can lead to negative impact in terms of wear and tear of the tire, as well as handling. If you are riding with pillion rider on an everyday basis, it is recommended to bump up the tire pressure by 1-2 PSI to account for the weight. Now that you have all the information needed to ensure that your bike’s tires run smoothly and help you save on mileage and handling, try using all of this the next time you take your bike out for a spin. Since the bike is one of our favorite vehicles, it should certainly be cared for as one!